In the weeks since U.S. Navy SEALs killed Osama bin Laden in his Abbottabad compound, Pakistani authorities claim they arrested a senior al-Qaida leader and killed five alleged al-Qaida-linked suicide bombers before they carried out an attack. But these claims appear to be inflated, if not false. Pakistan has been under intense pressure to crack down on al-Qaida since the killing of bin Laden in the city that is home to the Pakistani military academy. He had lived there for more than five years, U.S. officials said. Pakistan "will need to take serious action in the wake of the bin Laden revelation," in order to convince the United States and other countries that it has stepped up its fight against al-Qaida, said Reza Jan, leader of the Pakistan team at the American Enterprise Institute's Critical Threats Project. 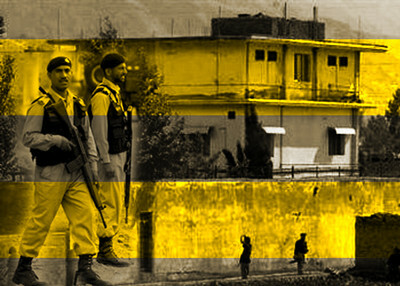 The Pakistani military's media wing trumpeted Tuesday's arrest of al-Qaida operative Muhammad Ali Qasim Yaqub, a.ka. Abu Sohaib Al Makki. "The arrest of Al Makki is a major development in unraveling the al-Qaida network operating in the region," it said. Jan disagreed, saying he "would be hesitant to inflate the importance" of that arrest. "Al Makki is a relatively unknown figure and we have yet to learn how important a role he played in the network." The Pakistani military called Al Makki a "senior" al-Qaida operative, although a U.S. official speaking anonymously called him only a "mid-level" operative. Pakistan may be trying to "show that they're serious" about the fight against al-Qaida, Jan said, but "it's too early to say" whether that arrest is going to make a difference. Initial reports this week stated that Pakistan paramilitary forces killed five people approaching a security checkpoint in Quetta, and had "foiled" a suicide bombing plot to attack military forces. At the time, a senior Pakistani security official said those killed "had grenades and bombs strapped to their bodies." Another Pakistani police official claimed that one of the men blew himself up before being shot. Reports also noted that three of the five killed were women. It is uncommon for women to act as suicide bombers in Pakistan. Soon after, media sources began reporting that the individuals Pakistan termed al-Qaida-linked militants were unarmed foreigners. Pakistani authorities who searched the bodies told Reuters that they found no explosives. "They were unarmed and had no suicide jackets or explosives with them," one official said. An autopsy of one of the women killed showed that she was seven months pregnant. A Pakistan provincial government has now ordered an investigation into the killings in light of the news reports. Pakistan has also failed to take action against another al-Qaida-linked group operating on its turf. According to Jan, the Haqqani Network, which has a "symbiotic relationship" with al-Qaida, could help keep al-Qaida breathing while it is under the squeeze by U.S. forces. "The Pakistanis have, so far, taken no significant action against the Haqqani Network," said Jan, "and we have not yet seen any movement that might cause us to expect significant action against the Haqqanis any time soon." The Haqqani network could "allow al-Qaida to survive and even expand its influence." Sen. John Kerry, a Massachusetts Democrat and chairman of the Senate Foreign Relations Committee, expressed concern over the group during a trip to Pakistan this week. Kerry "brought forcefully to the attention of Pakistan that their continuing support and harboring of the Haqqanis is creating a big problem for continuing any kind of financial support," said Sen. Carl Levin, D-Mich. The United States designated the Haqqani Network's operations commander as a terrorist earlier this month. Pakistan's support of the Haqqani Network is only one of many factors placing stress on the U.S.-Pakistan relations. The United States is trying to mend relations with Pakistan after it acted unilaterally to kill bin Laden. Directly after the bin Laden raid, U.S. officials questioned how bin Laden could have operated not far from the Pakistani capital of Islamabad for so many years without Pakistan's knowledge. Pakistan, angered by the U.S. move, has cut off almost all communication with CIA contacts since the raid. Earlier this week, Defense Secretary Robert Gates said that he had "seen no evidence at all that the senior [Pakistani] leadership knew [about bin Laden's presence]." "In fact, I've seen some evidence to the contrary," he added. That statement could help ease tension with Pakistan, Jan said. But the fact that Pakistan didn't know about bin Laden's whereabouts is "embarrassing in and of itself." Meanwhile, testimony begins next week in Chicago in the trial of a man who claims his work on behalf of the Pakistani terrorist group Lashkar-e-Tayyiba was sanctioned by Pakistani intelligence. Tahawuur Hussain Rana, a Pakistan-Canadian businessman living in Chicago, is charged with aiding the Mumbai terrorist strike in November 2008 that killed more than 160 people. Such disclosures could further strain U.S.-Pakistani relations.